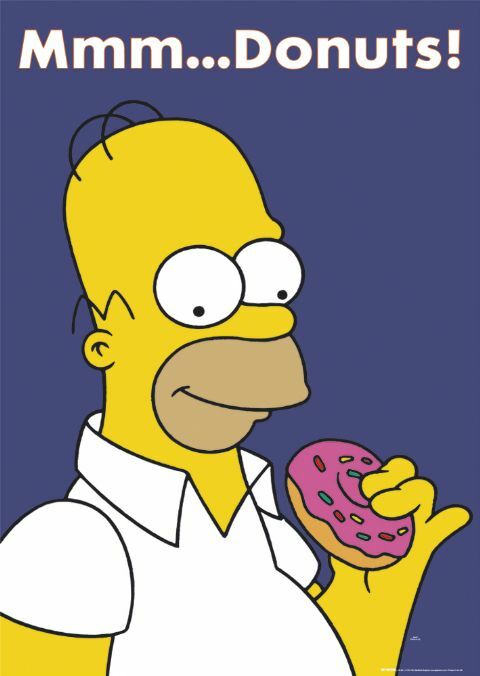 Homer, patron saint of donuts. D'oh Nuts. Second cousin married to second cousin Floor Pie. Closely related to Don't make friends with salads. 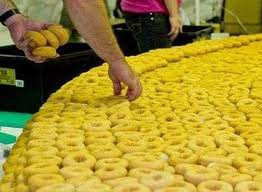 14 billion donuts consumed annually in the US. Top donut consumers are not yellow. But they do live in the midwest. What else can you do in winter? Make babies? What do you do when you are too fat to make babies? Relax. Eat a donut, pal. 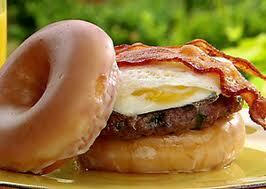 The Krispy Kreme Bacon and Eggs Burger. Seriously, what more is there to say. Did you know that donuts are the #2 baked good in the United States, second only to bread. With all the cops eating donuts, you think there might be justice.